This is a collection of chicken recipes from friends of this site. I love when viewers submit their favorite family recipes. If you have any quick, easy chicken recipes or any simple chicken recipes that your friends and family rave over, it's really easy to add it to this site. Just follow the directions below. Scroll down below the submission area to see recipes others have submitted! that you would like to share? If you have a great chicken recipe that you would like to share, I'd love to include it on this site! If you would like to add a story about the recipe, or serving suggestions, just add that information in the text box along with the recipe itself. 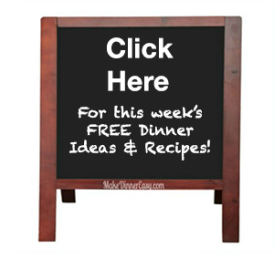 Your recipe will appear on a Web page exactly the way you enter it here. You can wrap a word in square brackets to make it appear bold. For example [my recipe] would show as my recipe on the Web page containing your story.